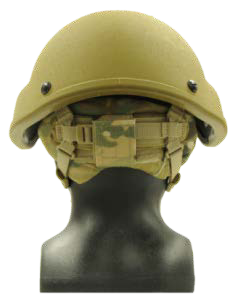 The Enhanced Combat Helmet (ECH) was developed in response to a 2009 USON to produce a helmet that provides ballistic protection from selected small arms ammunition and fragmentation, yet maintains all other characteristics of the Marine Corps' Lightweight Helmet (LWH) and the Army's Advanced Combat Helmet (ACH). and will include other accessories such as helmet cover and night vision goggle mounting bracket. Additionally, optional ballistic nape pad and eyewear retention straps are available. The optional ballistic nape pad is available for increased stability and protection against fragments from ground-level threats. 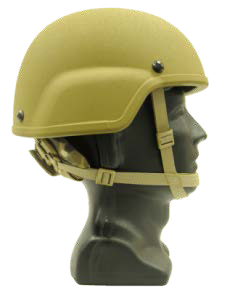 Unlike the ACH/LWH, which are constructed with aramid fibers, the ECH is constructed using ultra-high-molecular-weight polyethylene fibers. 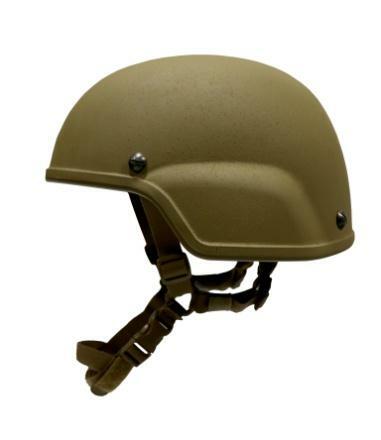 The ECH is compatible with, and is typically worn in conjunction with other components of infantry combat equipment such as Body Armor Systems, protective spectacles/goggles and/or prescription glasses, night vision equipment and a camouflage fabric helmet cover. Class II uses the H-Back for the Army. BAE Systems Aerospace & Defense Group, Inc.